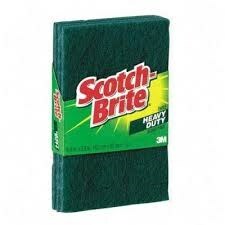 Scotch-Brite is a line of abrasive cleaning pads produced by 3M. The original product line consisted of spun polypropylene fiber with about nine grit variations. Scotch-Brite also contains "Alox", which is a trade name for aluminum oxide.